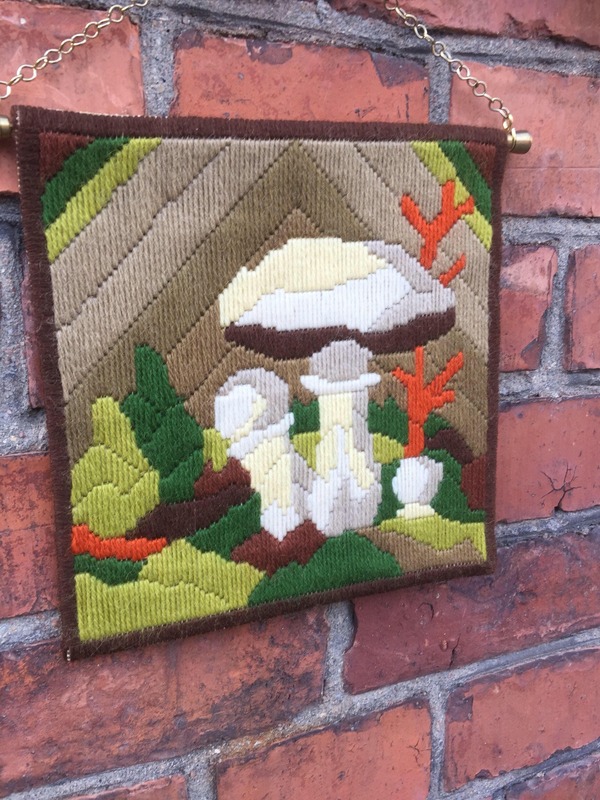 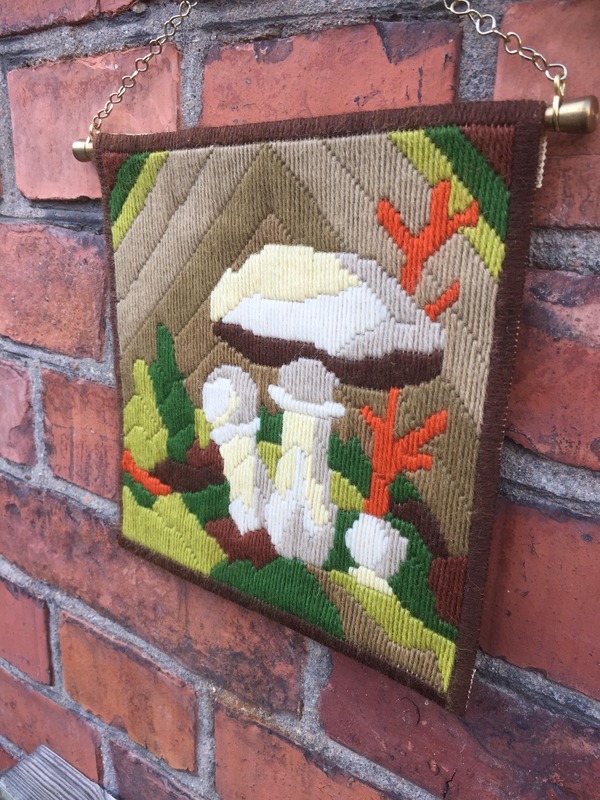 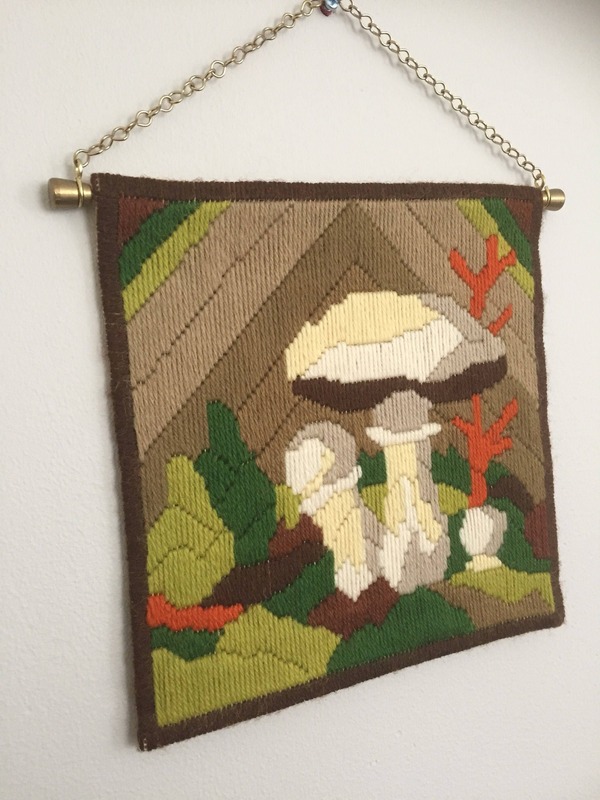 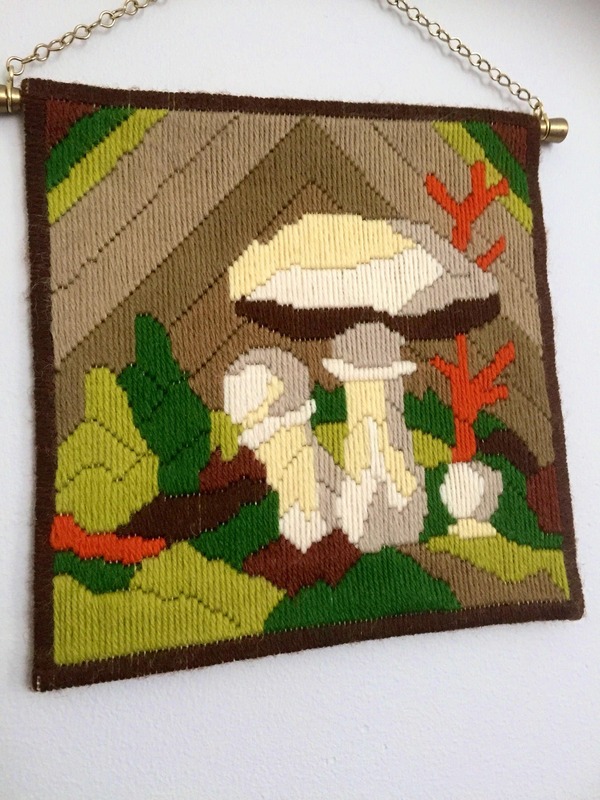 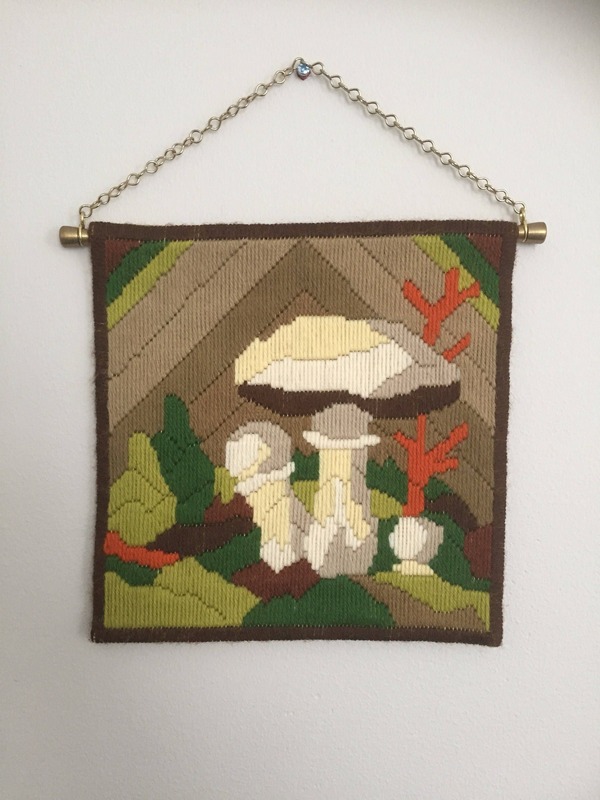 This is a vintage Swedish long stitch embroidered wall hanging depicting wild mushrooms. 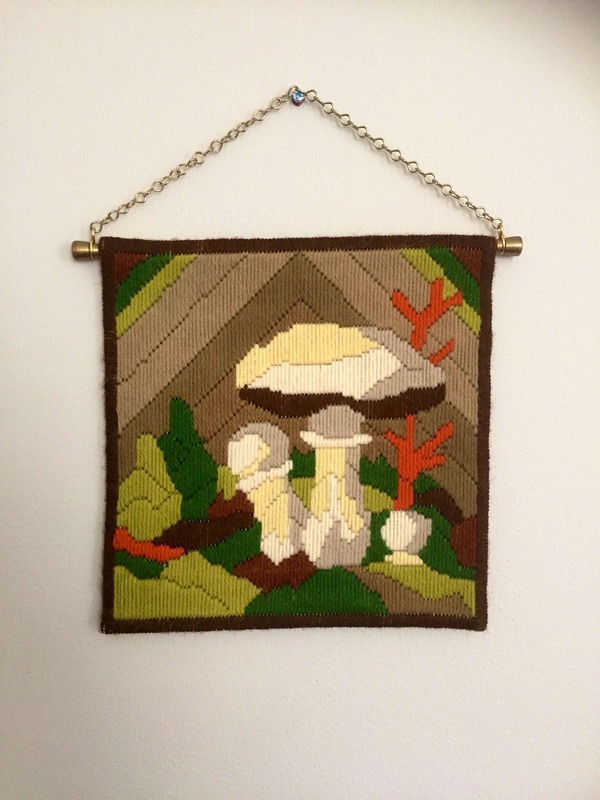 This wall hanging is perfect for a room with earthy tones, add a fun textile touch to your wall with this mushroom grouping. 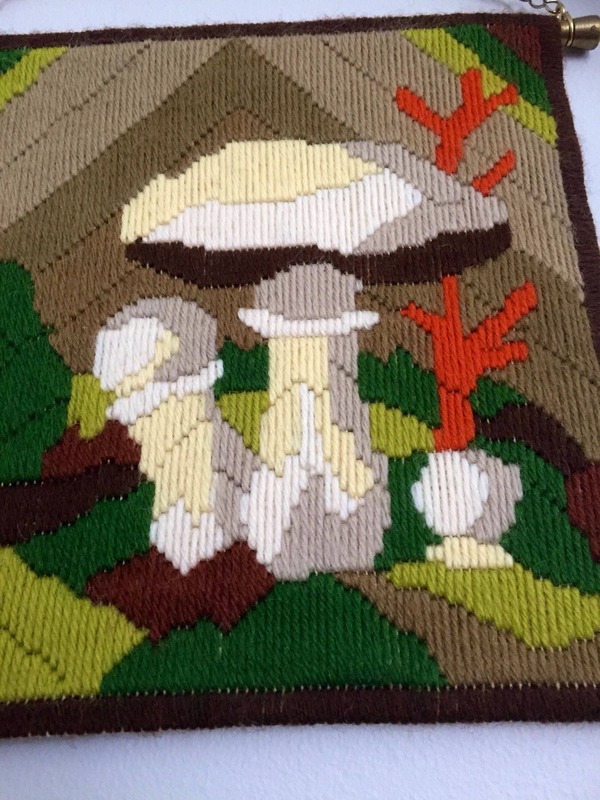 It measures 20cm x 20cm and will make to perfect gift for anyone who loves mushrooms. 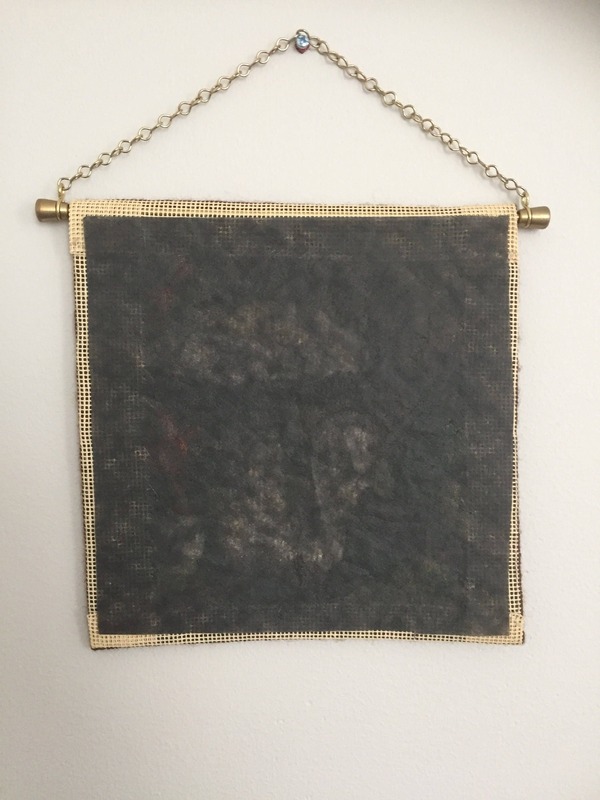 It will be shipped with the brass chain hanging hardware.